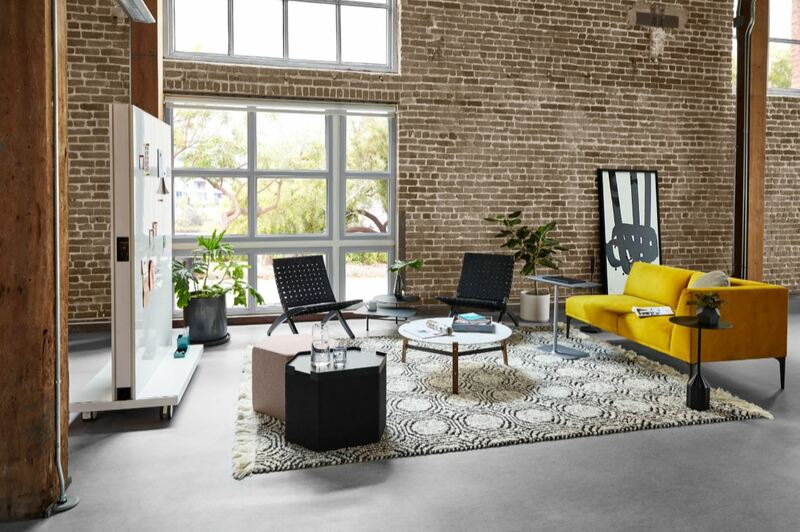 Yesterday in New York, Steelcase revealed their revolutionary new seating design, SILQ. 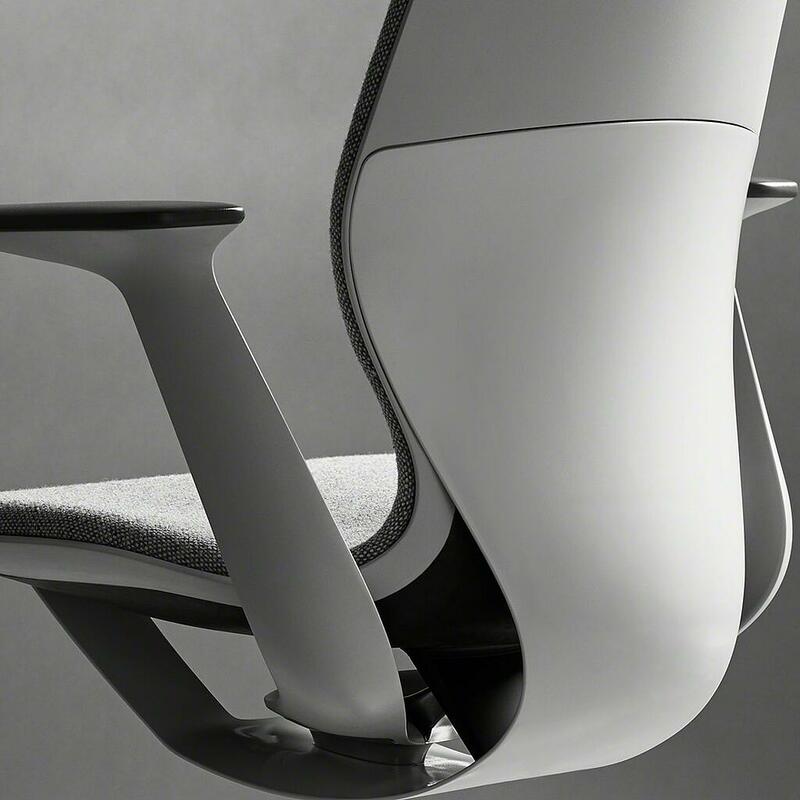 Using a pioneering development in materials science and a patent-pending process, Steelcase’s team of material scientists, designers, and engineers have created a truly unique product. 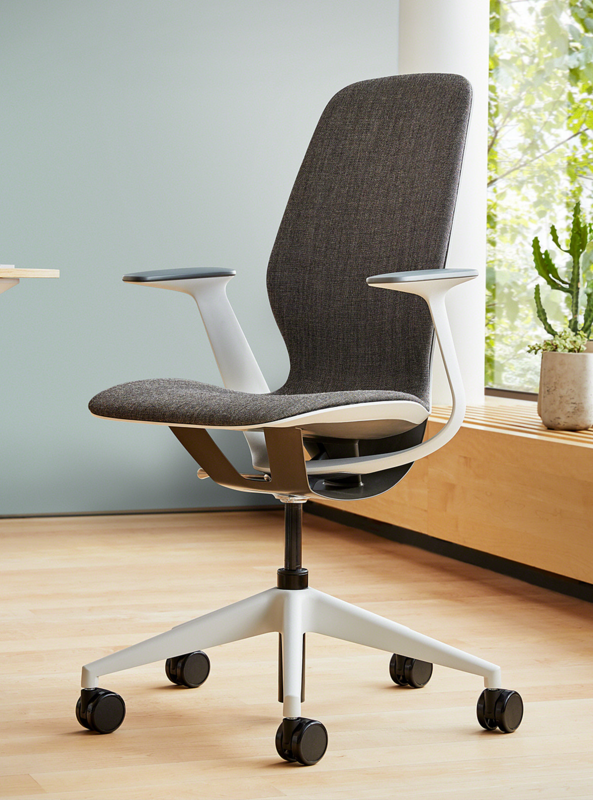 "SILQ meets all of the needs of a modern office"
SILQ (pronounced “Silk”) organically responds to and supports the human body and movement using a new high-performance polymer. 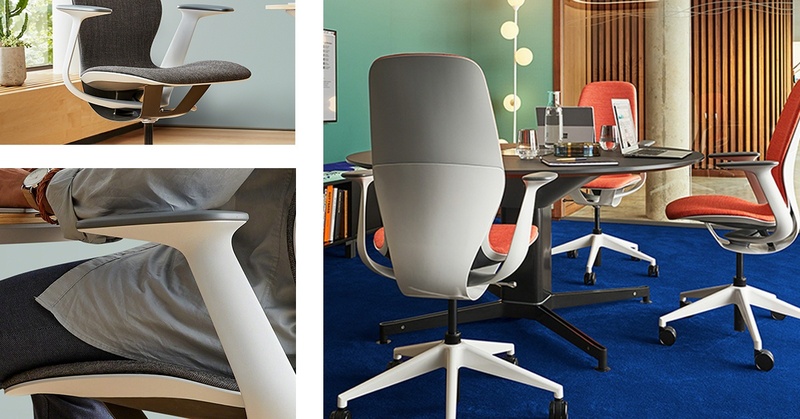 Instead of the many physical adjustments and mechanisms that traditional high-performance chair design requires, SILQ’s material and design moves seamlessly with you to provide intuitive comfort that feels tailored, without the need for dozens of adjustments. With SILQ, the only adjustment needed to provide a fully-tailored experience is height. The idea behind SILQ first began in 2008 with James Ludwig, Steelcase’s Vice President of Global Design and Engineering. He had a vision of a chair that replaced the machinery of high-performance seating design with something simple, and material based. “It seemed so natural, replace all this machinery with something simple” Ludwig said in the SILQ’s announcement video. He developed an initial sketch of four plant-like tendrils, cradling a chair, made out of a material that could scientifically move with and support the human body. Ludwig and his team started work on his vision, to design a chair for the modern workplace, where the idea of one person, one desk, one chair was going out of style. They set out to design a chair that replaced the hundreds of mechanisms of a traditional fully-adjustable office-chair. The material itself would be the new mechanism. The first SILQ design was a premium version created with carbon fiber. Steelcase drew inspiration from aerospace and high-performance prosthetic legs for para-Olympic athletes. They needed materials and designs that were thin, but extremely strong and flexible in order to organically respond to all of the inputs. The unique properties of the material, combined with the innovative new design elements, allowed the chair to respond uniquely and fluidly to each user and their natural movements. While carbon-fiber provided everything that Steelcase was looking for in a material, they knew that the price point that came with it would be a barrier for many. In order make SILQ available for every audience, they took it upon themselves to push the barriers of innovation, and invent an exclusive, new high-performance polymer that emulates the qualities and behavior of carbon fiber. SILQ’s newly engineered material and design were created specifically to support individuals in the modern office. Rarely does anyone spend the entire day sitting at an assigned desk. People move from place to place within the office, between meetings, collaboration huddles, and individual workspaces. Office workers don’t have the time to adjust multiple mechanisms each time they sit down. They still need personalized support from their seating that is built-in, and instinctive to use. “I think a true innovation is when you solve something and people say, ‘I didn’t know I wanted that"
“I think a true innovation is when you solve something and people say, ‘I didn’t know I wanted that, but God, I want that,” said Ludwig. SILQ meets all of the needs of a modern office, and offers a variety of material combinations and aesthetic customization to make it the perfect fit for any workplace. 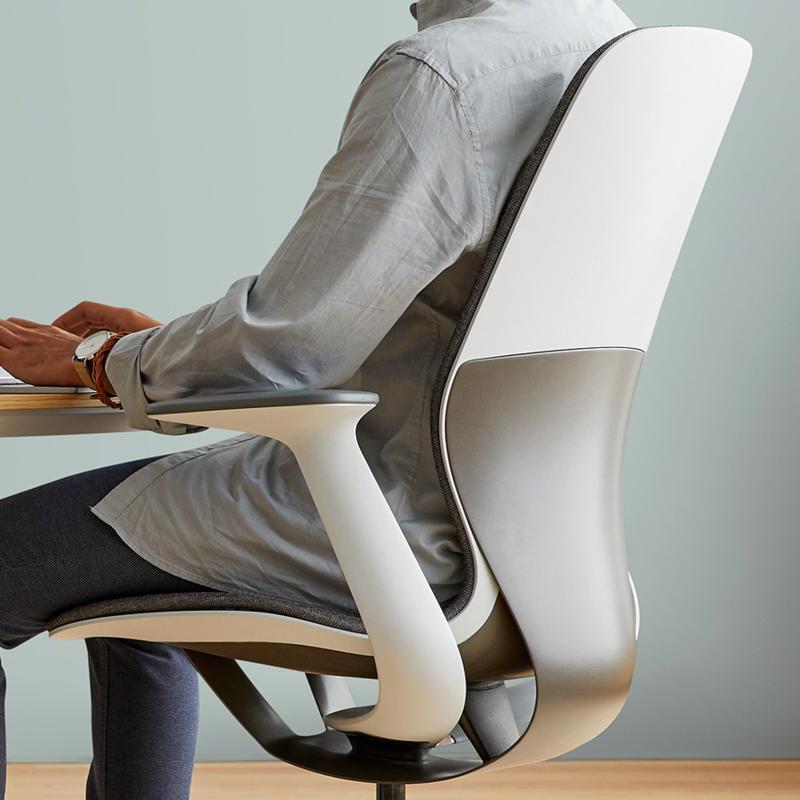 The SILQ chair will be available in Steelcase’s new high-performance polymer as well as premium carbon fiber. The starting list price for SILQ is $970. SILQ will be available in North America and Asia in Spring of 2018, and in Europe, Middle East and Africa in Fall 2018. Is Your Office Maximizing Every Square Foot? 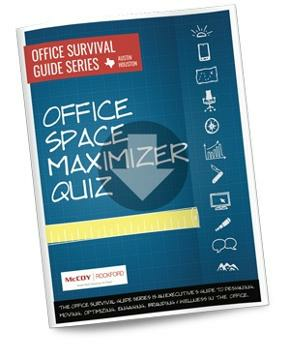 Find Out with Our Office Space Maximizer Quiz!